Plain sugar obviously doesn’t have any animal product in it, yet still might not be vegan. That’s because bone char is often used during the refining process. Maybe you’ve heard this, but want the full story, and that’s what I’m here for. I’ve done the research so you don’t have to. This post will walk you through the facts so that you can make your own decision about whether or not sugar is vegan. To be clear, when we talk about bone char, we’re talking about white sugar (more on brown sugar later, which can also be a problem). Sugar from sugarcane (the primary source of sugar) isn’t white (more yellow-brownish). So, once the impurities have been removed, bone char is used as part of the filtration process to whiten the sugar. This process dates back to 1812, and is still used today. It’s then removed in the end, so there’s no actual bone char in the sugar. What is bone char? It’s simply the result of heating bones (typically from cows) to a high enough temperature to char them, and they can then be ground into a fine powder. I think that most vegans would agree that sugar made like this is NOT vegan. It might not seem like a big deal, but selling bones lets slaughterhouses make extra money, which makes it more profitable to kill animals. It’s not the biggest deal compared to some other vegan issues, but it does have an impact. How Much White Sugar Is Made With Bone Char? Bone char is not the only substance that can be used to filter sugar, it’s just the cheapest. Many sugar manufacturers use an ion exchange process or activated carbon (becoming more popular). Still though, bone char remains the most widely used decolorizing and deashing adsorbent. I wasn’t able to find an exact count, but the most commonly cited number that I came across was that about 25% of sugar in the U.S. is made using bone char. So it’s a big chunk at the very least, even though a good portion of white sugar is still made without it. It is not safe to assume that white sugar has been made without bone char in North America. So far I’ve mentioned North America, because that’s where most bone char use occurs. There are major manufacturers in both Canada and the United States specifically that use bone char in their sugar refining process. Some manufacturers, like Lantic, use bone char at one of their refineries (in Vancouver), but not the ones in eastern Canada. So even within one sugar producer, there can be a mix of sugar that is and isn’t made with bone char. This applies to individual food manufacturers too, who often have multiple sugar suppliers. Oreo has several sugar suppliers. Some of our suppliers do use the animal-derived natural charcoal in their cane sugar refining process and some suppliers do not. From what I can tell, bone char isn’t commonly used in Europe, but I recommend trying to find more information in your specific country if you don’t live in North America. What About Organic White Sugar? In the U.S. at least, bone char is not allowed to be used to make sugar that is USDA Certified Organic. So buying organic products is one way to guarantee that you have vegan sugar. Are Brown Sugar and Confectioners Sugar Vegan? What most people don’t know is that brown sugar and confectioners sugar are both made from white sugar. Brown sugar is made by mixing molasses with refined (white) sugar. Confectioners sugar is made by mixing white sugar with cornstarch. So both of these can be vegan depending on whether or not the white sugar is made with bone char. Again, it’s not safe to assume they are vegan if you’re in North America. Which Types of Sugars Are Vegan? Aside from buying organic, some sugar manufacturers label their bags of sugar as “bone char free” if you’re looking for white sugar. 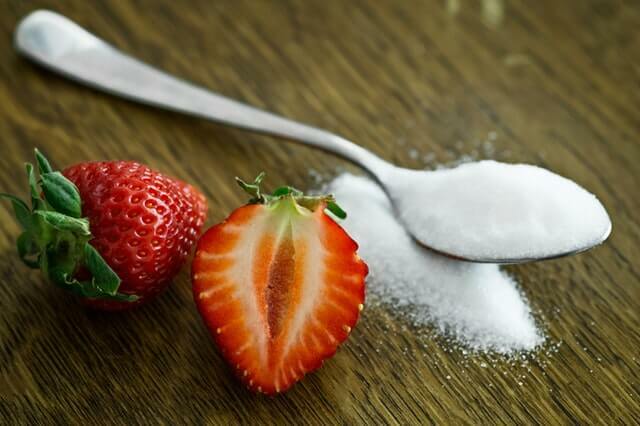 Another option is to look for beet sugar, because beet sugar is already more white than cane sugar and doesn’t need to go through the same decolorizing process. If you see “sugar” on the ingredients label of a food you want to buy (in North America specifically), there’s a decent chance that it’s not vegan because it was made using bone char. Even though it’s a pain, you’ll need to contact the manufacturer and ask for clarification if you really want to buy that food. If you’re buying a bag of sugar, find one that is made from beets, is organic, or clearly states that it’s bone char free. Is Jelly Vegan? What About Jam?